LEDtronics announces their PAR36 Series Marker Lamps and Floodlights designed as an energy-saving substitute for PAR36 sealed beam lamps. These LED lamps create a bright and glowing spotlight that is perfect for many applications such as industrial vehicles, golf carts, architectural accent lighting, low-heat medical spotlighting, emergency egress lighting systems, landscape lighting, and other utilizations. The PAR36 Series lamp can be a direct drop-in replacement for 12/14Volt DC, 6Volt DC and 120Volt AC PAR36 incandescent lamps. The LEDtronics lamp housing is a sealed unit that protects the LEDs inside and is resistant to moisture and dust, making it perfect for outdoor purposes where it can withstand exposure to harsh environments. The PAR36 LED lights are available in Warm White (3000 Kelvin), Pure White (5000 Kelvin), and Cool White (8000 Kelvin) color temperatures. 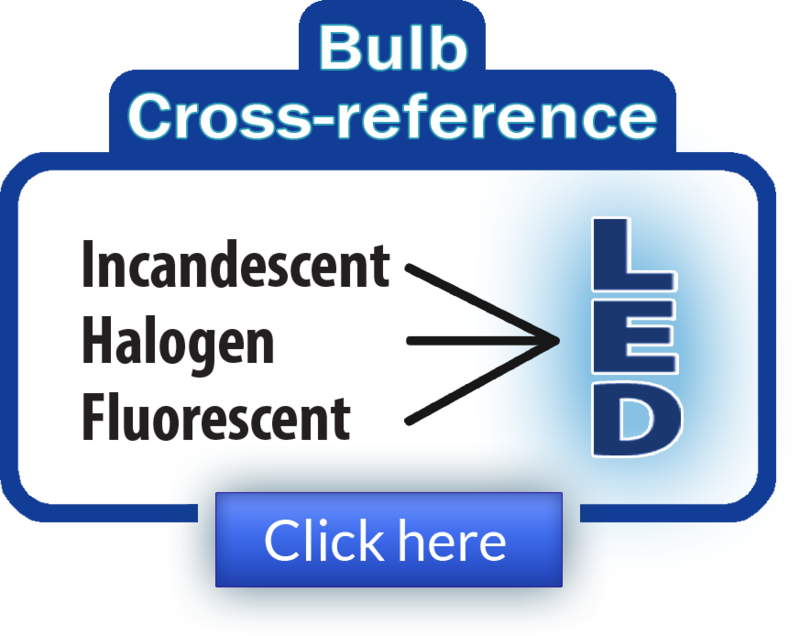 For qualified customers, the bulbs are optionally available in other LED colors (including ultraviolet and infrared), voltages, and beam angles. The lamp generates a negligible amount of heat and can brightly indicate your presence while consuming only 4.5Watts of power. An LED cluster lamp continues to provide light even if one or more emitters fail—unlike when the filament fails in an incandescent bulb. 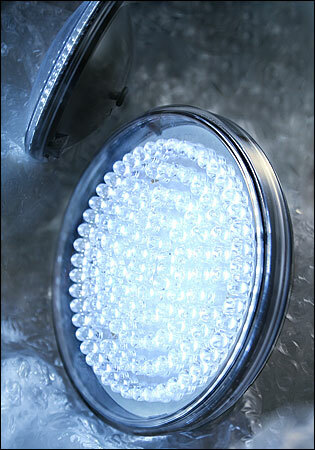 PAR36 LED bulbs are designed to perform well in systems subjected to voltage dips or surges. Integrated current-limited resistors ensure that no circuit modifications are required. Solid-state design renders LEDs impervious to electrical and mechanical shock, vibration, frequent switching, and environmental extremes. With a white LED’s average lifespan of up to 50,000-plus hours (5.7 years), LED lamps operate more than 30 times longer than the equivalent incandescent lamp! LED lamps produce almost no heat and require 80-90% less operating power than equivalent incandescent lamps, making them as friendly to the environment as they are to the operating budget. 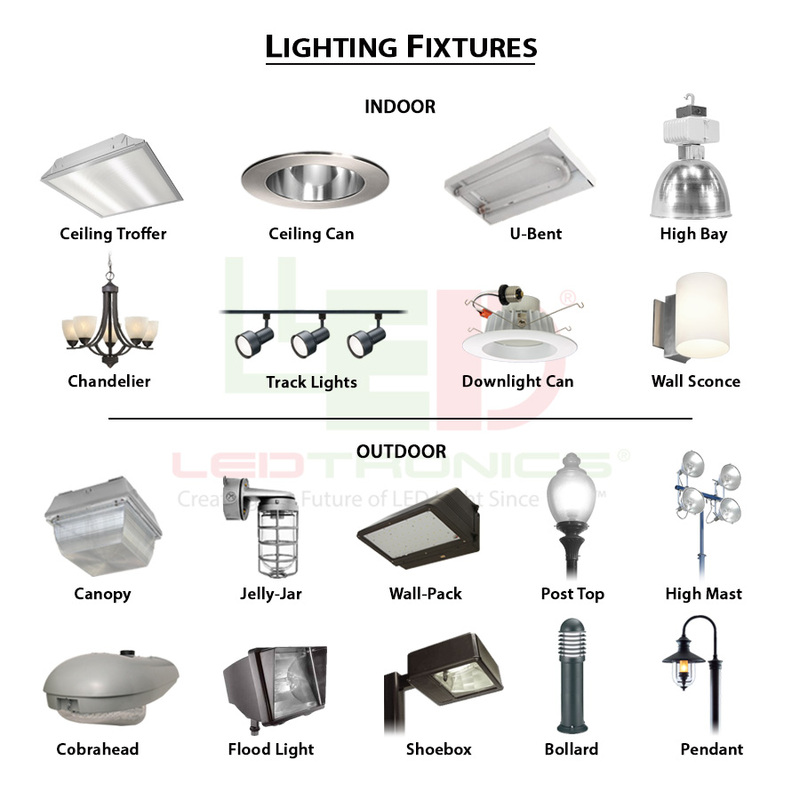 They are already effectively utilized in applications such as can ceiling downlights, underwater décor lamps (when employed inside a sealed underwater fixture), and headlight/marker lights for industrial trucks. Used as emergency egress lighting at the APS Palo Verde Nuclear Generating Station, LEDtronics PAR36 bulbs meet and exceed their efficiency needs. Savings from reduced maintenance costs and downtime quickly return the capital investment expenditure! Founded in 1983, LEDtronics leads where others only follow when it comes to designing, manufacturing and packaging state-of-the-art LEDs to meet the world's constantly changing lighting needs. Our inventive product line encompasses an array of direct incandescent lamp replacement Based LEDs, low-cost snap-in and relampable Panel Mount LEDs, high-intensity sunlight-visible Discrete LEDs, PCB LED circuit board status indicators, surface mount diode SMT LEDs, full-spectrum rainbow RGB LEDs and Infrared (IR) LEDs. Large quantity discounts are available. Availability is stock to 4 - 6 weeks for special requirements. PAR36 lamps carry a three-year limited warranty. For additional information contact LEDtronics toll free at 1-800-579-4875, telephone 310-534-1505, fax at 310-534-1424, click here to email us or mail to LEDtronics Inc., 23105 Kashiwa Court, Torrance, CA 90505. Visit our website at www.LEDtronics.com.